D'Addario Planet Waves Classic Series XLR Female to 1/4" Mic Cable 25 ft.
Entry-level mic cable no longer means ordinary. 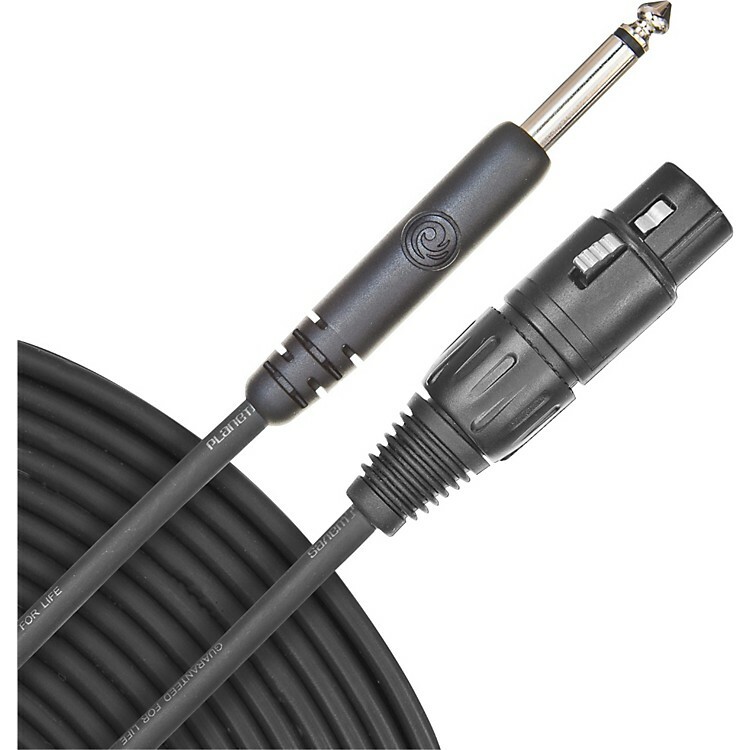 Redefining the meaning of the entry level cable, Planet Waves microphone cables from the Classic series feature heavy-gauge, oxygen-free copper conductors and nickel-plated brass connectors for a reliable and transparent signal transfer. The signal is then protected by a layer of conductive PVC as well as dense copper for optimal shielding coverage that protects your signal from outside interference. To finish it off, each plug features a molded collar for outstanding strain relief, ensuring that your mic cable lasts.